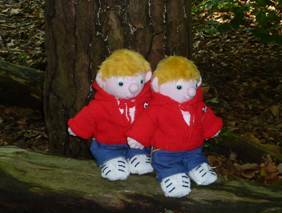 One of the adventures Bill, Bob and l like to go on is a mushroom hunt up in the woods at the back of Auntie Alice’s cottage. lt really is like going on a treasure hunt. 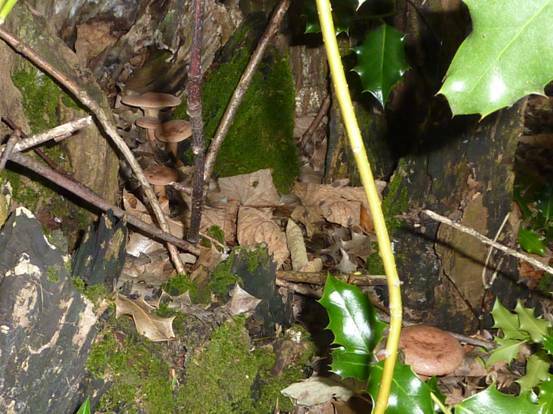 The boys like to have a competition to see who can spot the most fungi. 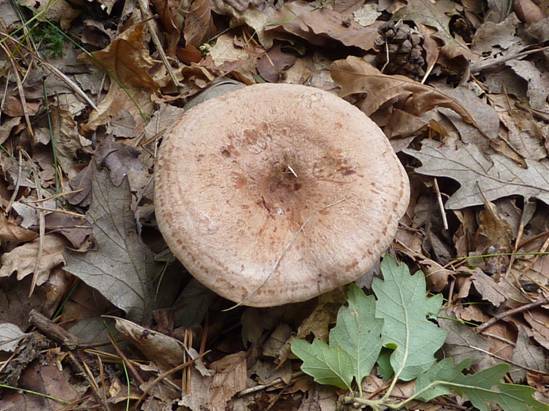 We take a little book so that we can identify the fungi we find and see what all their names are. 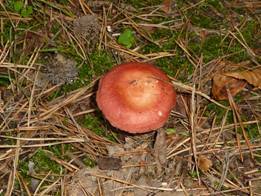 You can find fungi, which is the name for mushrooms and toadstools, at any time of year. 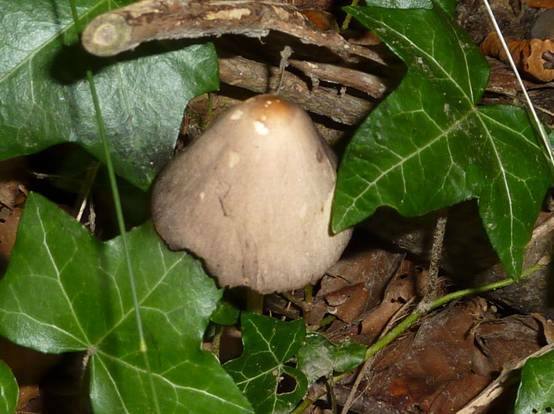 They can be found in parks, woods, fields and gardens. Early autumn is probably the best time though. 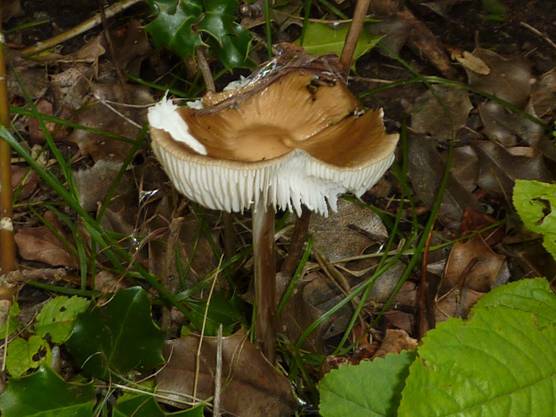 There are many thousands of different species of fungi, all with different names. 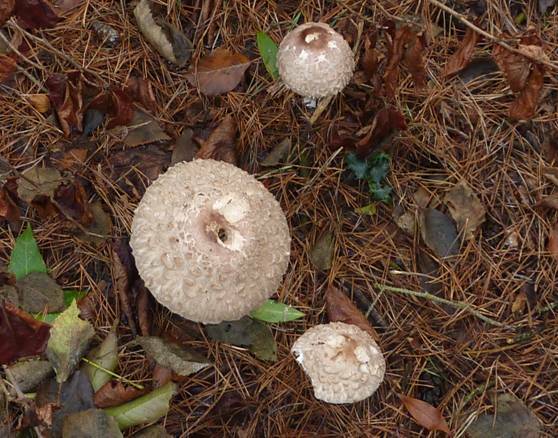 They are many different shapes as well. 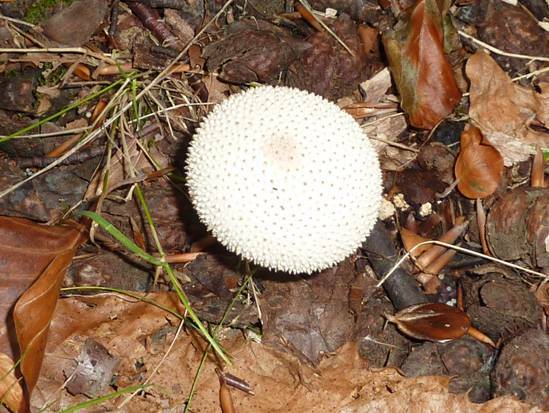 They don’t all look like the mushrooms you buy in the supermarket. 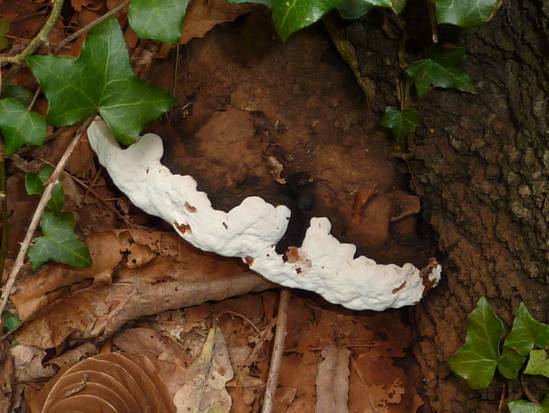 They can look like fingers, ears, corals, some grow on the sides of trees (even in the snow), some are as big as dinner plates and some are so small that you can’t even see them at all! Some break down dead matter which is how a compost heap works. Have you ever noticed how your heap becomes smaller, seemingly by itself? 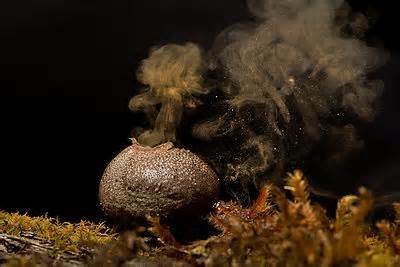 This is fungi spores creating new healthy soil. 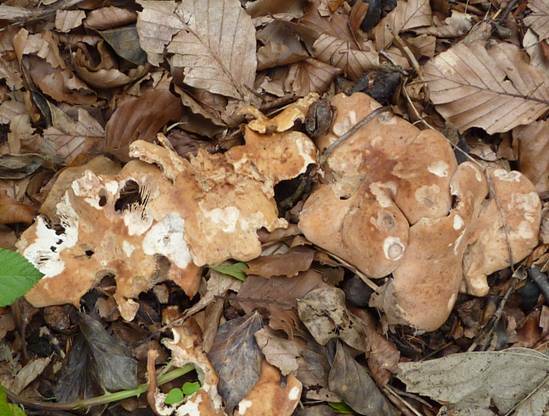 You put waste in at the top of the heap and get brown, crumbly compost at the bottom. 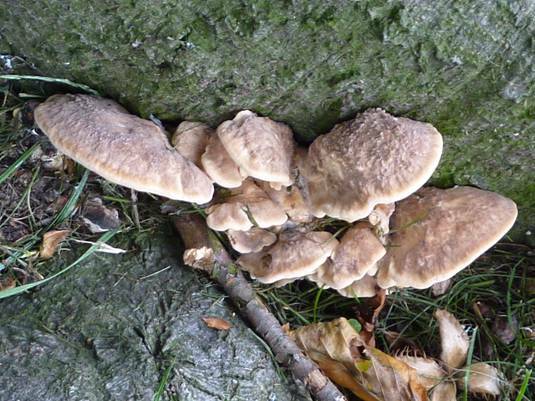 Fungi are very important to the eco-system because they live in the soil and help trees to grow. 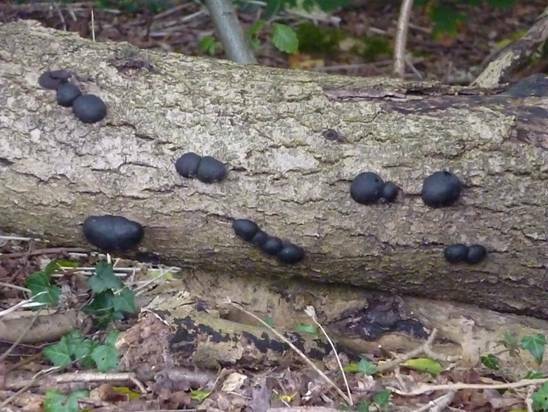 This is because fungi help trees take up food and water. 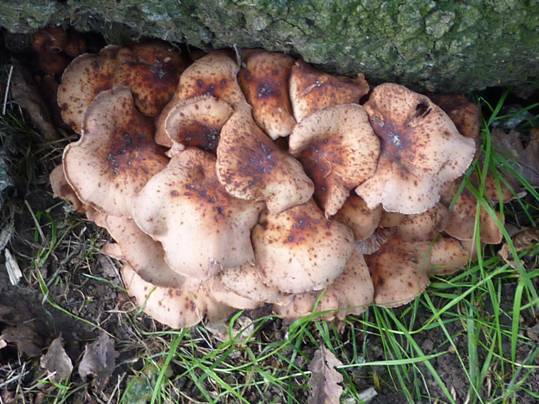 Fungi are mostly a colour other than green because they don’t contain chlorophyll – this is the scientific name for the chemical that makes leaves green. 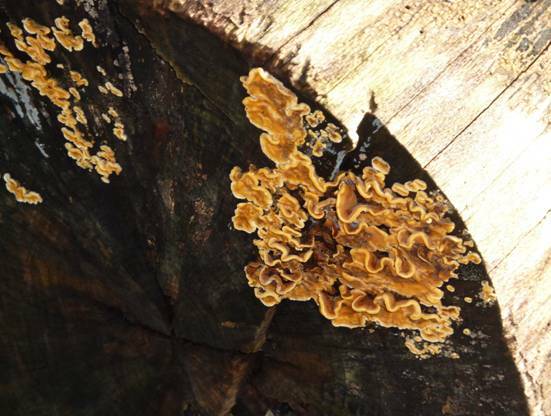 Fungi are not actually plants, even though you might think they are. Of course they are not animals either. They are a different kingdom of their own. 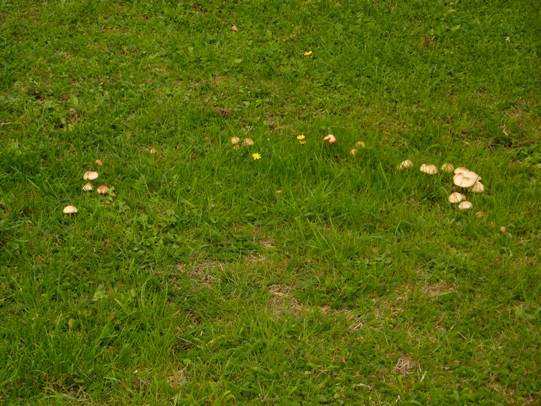 When you see a circle of mushrooms in the grass you call it a fairy ring. 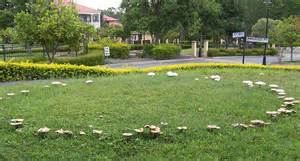 Actually, most of the plant is below the ground and grows in a circle. 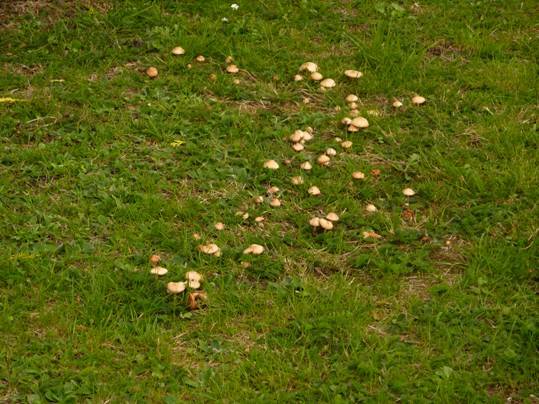 This is called a mycelium (pronounced my-see-lee-um). 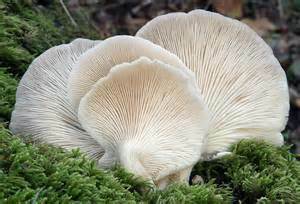 The mushrooms or toadstools pop up out of the ground from out of the mycelium, and so these mushrooms that you see are almost like the flowers of a plant. They don’t produce seeds though. 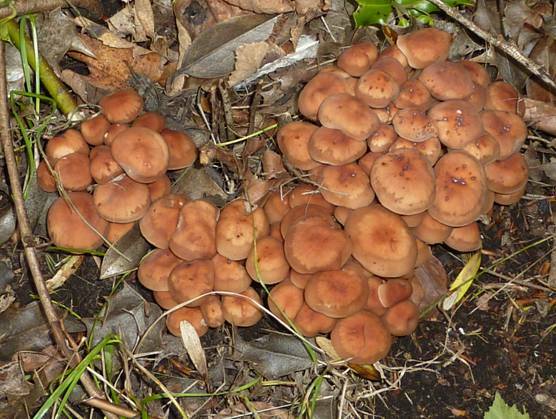 They produce something called spores instead, and these will produce more fungi. 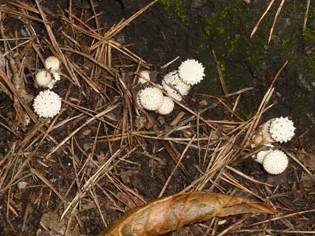 Spores are so small you can’t see them individually, but you can see them when they form a cloud like the ones that come out of puffballs. 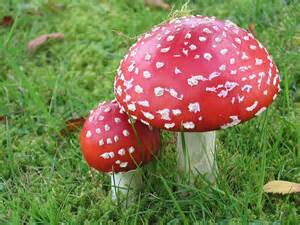 There are many millions of them in each toadstool. 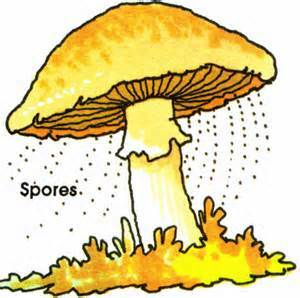 The spores come out of holes or gills. 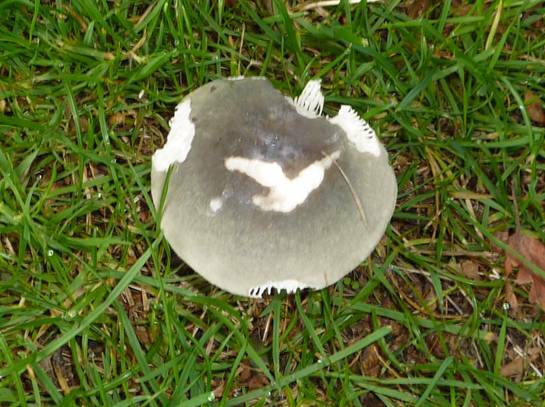 You can see gills on the mushrooms you buy in the shops. 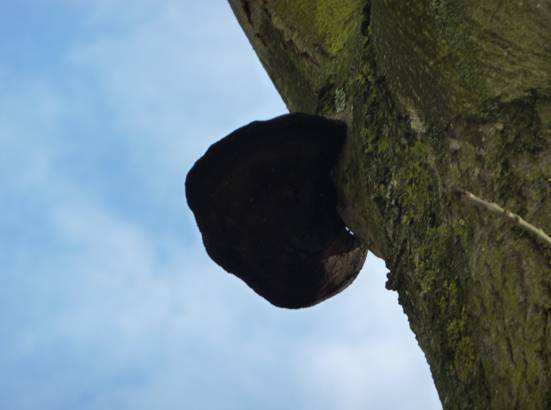 They are the black, ridged part of the mushroom under the cap (round top). 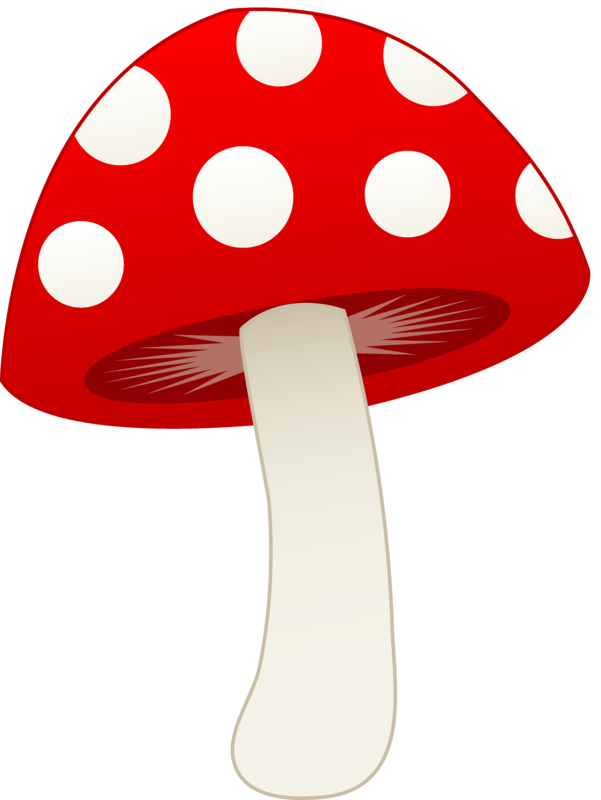 The toadstool you know from story books that has the red cap with white spots (that gnomes like to sit on) is called the fly agaric. 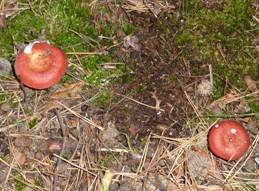 These are mostly found under birch trees. 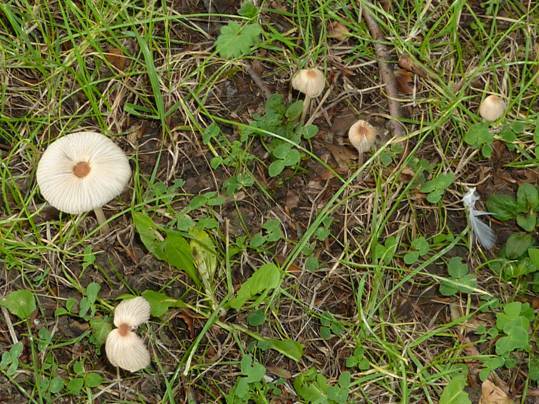 The tiny mushrooms that look like fairy parasols are called Japanese umbrella toadstools. 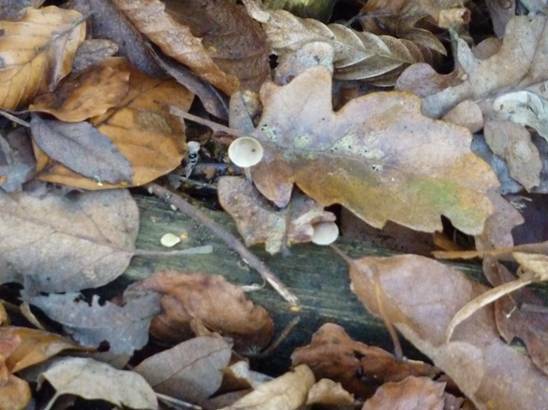 There are so many different colours of fungi as well: green, orange, red, blue, yellow, black and white. We never touch, pick or eat them though. 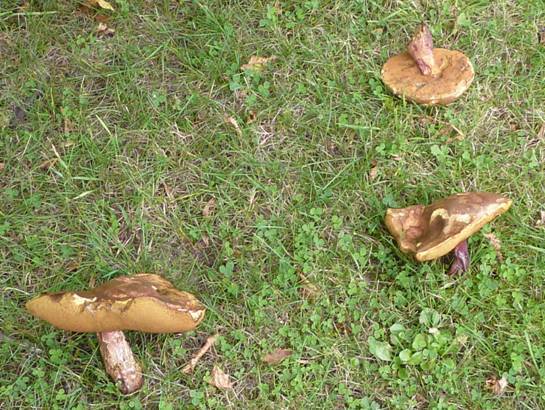 Some fungi are really dangerous. 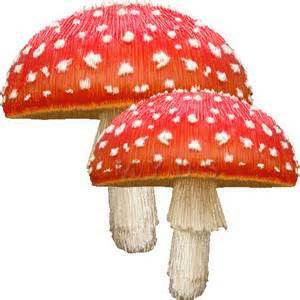 lf you ate them, they are so poisonous that even the people in a hospital would not be able to make you better. You can take photographs if you want to though, and make a sort of picture diary of what you find. 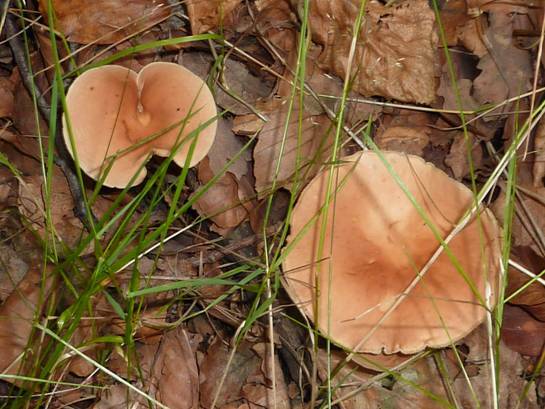 Have you ever been on a nature walk looking for different types of fungi? 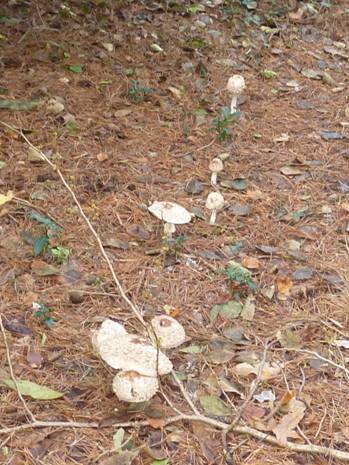 Bill: When do toadstools grow closely together? Bob: l don’t know. 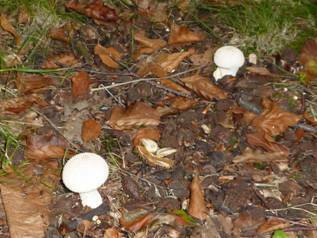 When do toadstools grow closely together? Bill: When there isn’t mushroom! 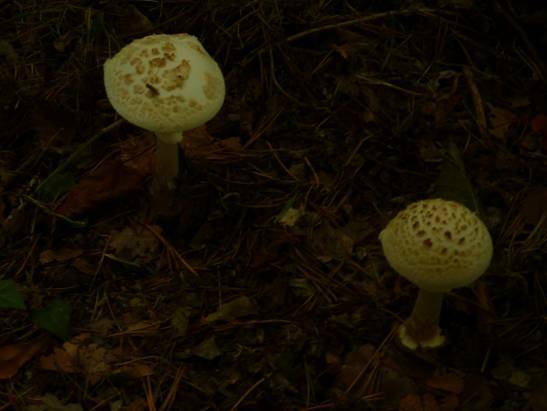 Bill and Bob thought that you might like to see some of their fungi photographs. We are labelling them to the best of our ability, so if we get some wrong, it just proves how it is best not to eat anything you find, in case you make a mistake. Can you see the shape of a seagull? Put a finely chopped small onion into a saucepan with a knob of butter and a little drop of oil and fry gently. 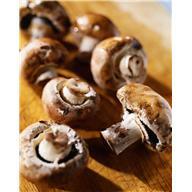 After 5 minutes add 2 large handfuls of mushrooms that have been chopped up into very little pieces and stir in well. After about 15 minutes add a crushed clove of garlic and a tiny pinch of nutmeg then continue to cook gently until the mixture is very dry. Chop a few sprigs of parsley and add in at the end. You can use this filling to fill up a pastry case to make a tasty flan. Grate a layer of cheese into a 20cm puff pastry case before you put the mushroom filling. Then put in the oven to bake the pastry. lf you want to use duxelles to make mini pasties for your lunch box, let the mixture cool before you put it on your pastry circles or squares. 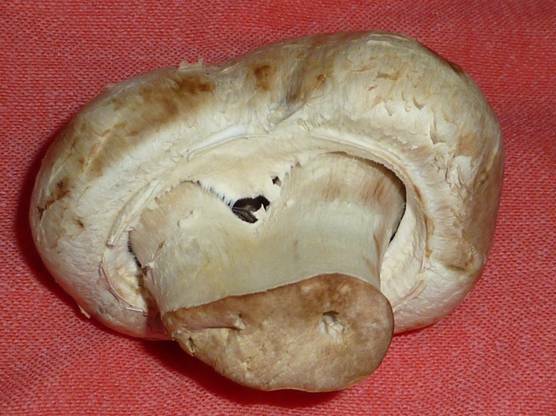 Duxelles freezes well, which is good thing if you get lots of mushrooms all at once from your mushroom farm – see below. 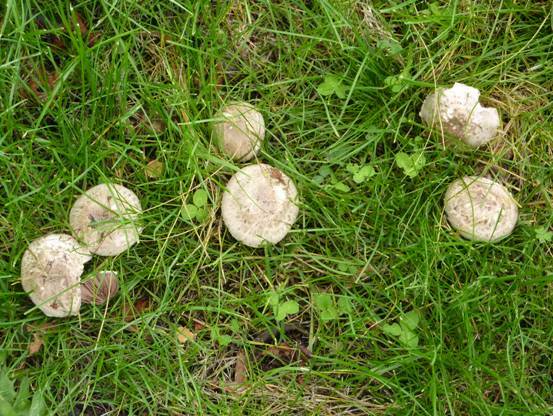 Of course all of the mushrooms that you buy in the supermarket are safe to eat, but it is possible also for you to grow your own mushrooms, if you get a mushroom growing kit. 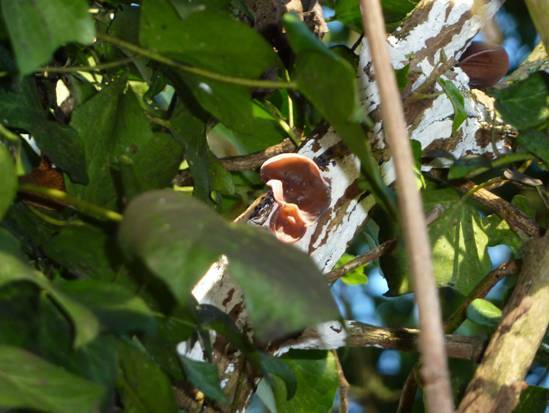 You can grow mushrooms at any time of the year providing that you have the right growing conditions – in a shed or cupboard under the stairs is ideal. Put the specialist compost into the container provided and dampen it slightly. 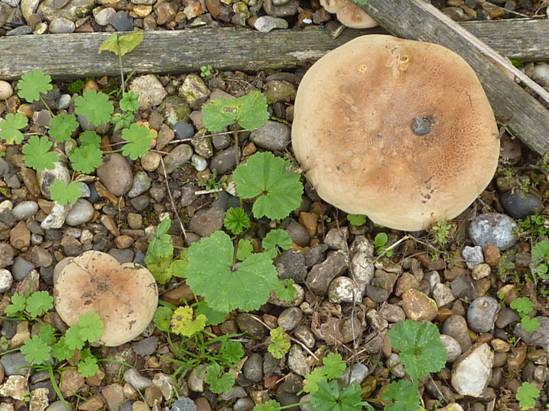 Put the mushroom spores onto the surface of the compost and mix them in slightly but not too deeply. Cover the container with its lid or some layers of damp newspaper. 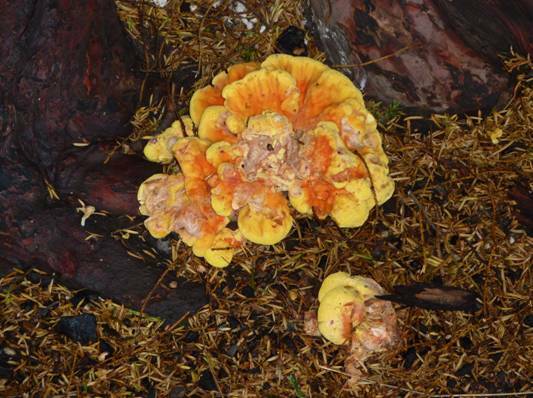 The compost should not be allowed to dry out and should be kept at about 15°C / 59°F. The box should be kept out of direct sunlight; it doesn’t have to be in the dark. After about 14 days remove any newspaper and you should see a white web like substance covering the surface of the compost; this is called ‘mycelium’. Put on another layer of compost 2½cm/1 inch thick. 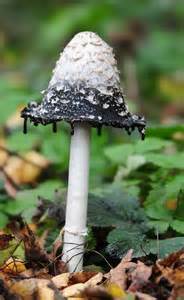 Keep this moist for the next 10 weeks or so and then you will begin to get your first mushrooms! 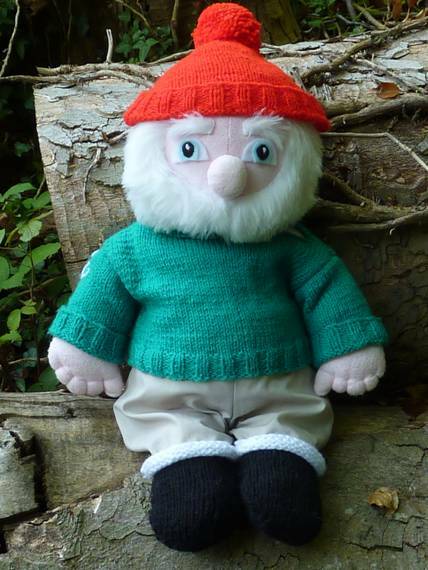 Yes, I did say 10 weeks – you have to be a very patient person to be a good gardener! 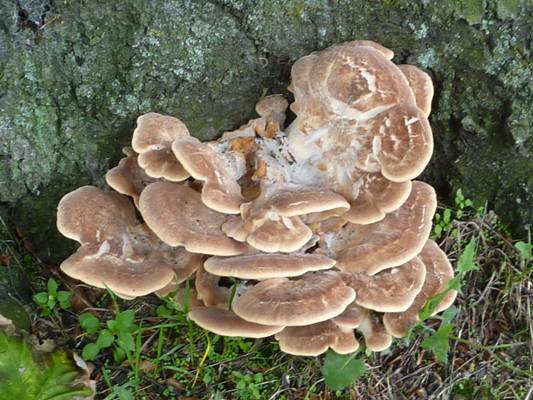 There are different kinds of mushrooms that you can grow from kits; for example shiitake or oyster mushrooms. 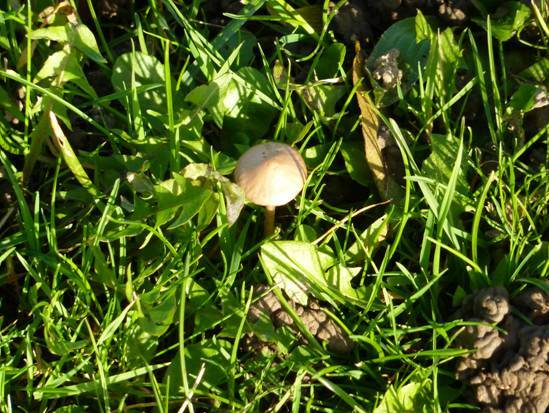 If you think you might forget to check up on your mushroom crop, then write some reminders on your calendar or in your diary. 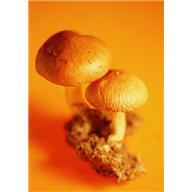 In the meantime, you can start gathering mushroom recipes. There is one to get you started in the Recipe Spot this week. 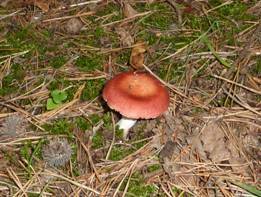 The recipe is really best with larger mushrooms – if you can wait that long!